If you are shopping for a commercial binding system for your print shop, there are multiple choices out there to choose. Two of the most popular are Rhin-O-Tuff and GBC. Both offer machines with interchangeable dies. 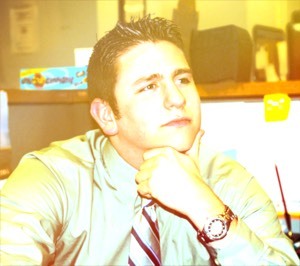 On the whole, Rhin-O-Tuff provides the best value in all category of binding machines. The high-end Onyx HD7700 not only costs less, it can punch on average more sheets than its GBC competitor machine, the Magnapunch while costing $2,000 less. The biggest advantage is the warranty. Rain-O-Tuff offers a 3-year warranty over GBC 1 year warranty. 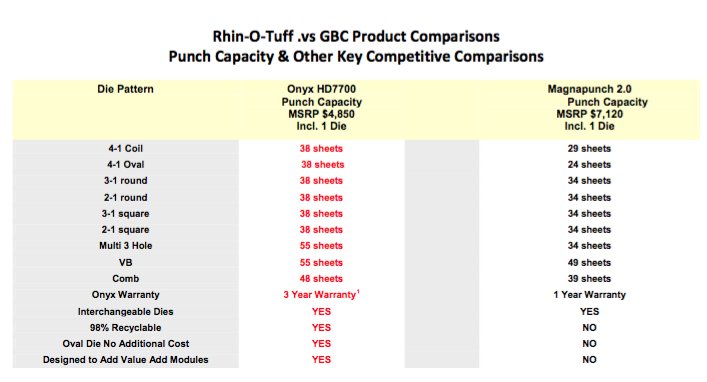 Here is the chart breakdown for comparisons between Rhin-O-Tuff and GBC binding machines. These are pretty many apples to apple comparisons in price and functionality. Most of our customers that have chosen Rhin-O-Tuff have been very happy. Previous Post:Need a Heavy Duty Guillotine Paper Cutter?